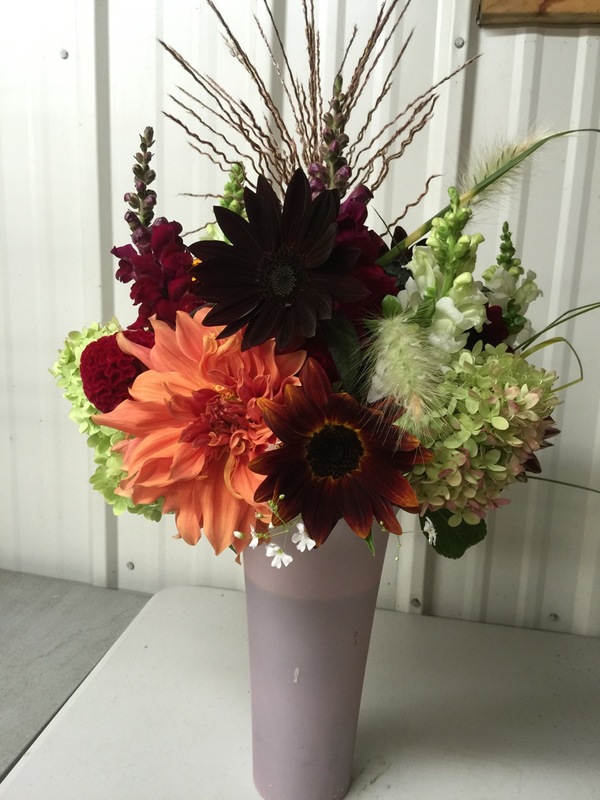 Folls Flowers offers a ten week flower delivery service for limited areas of Skaneateles, Owasco and Auburn. 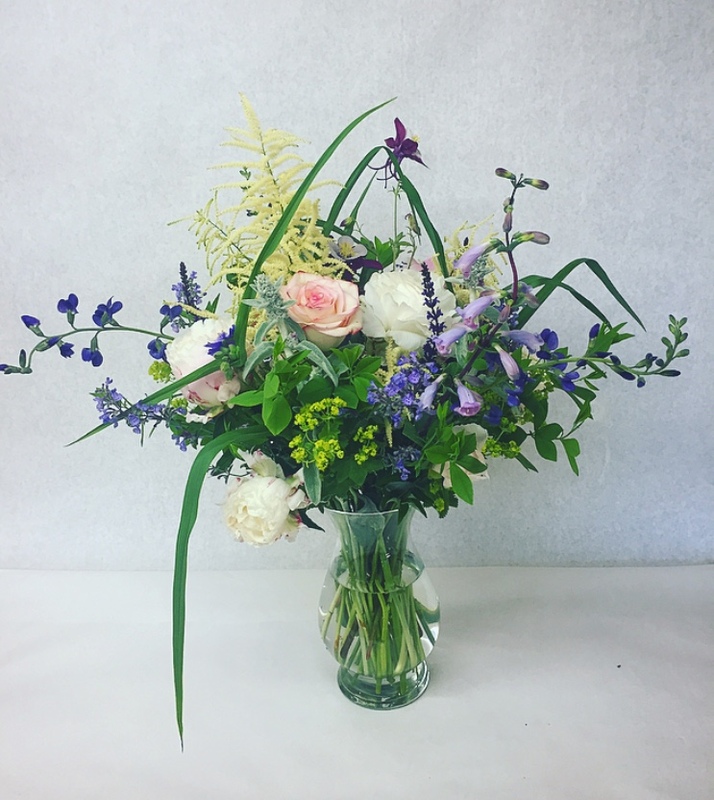 From early June until the end of August we offer a weekly delivery bouquet service bringing gorgeous freshly cut flowers to your home or business. You can choose your favorite colors, flowers, and height preferences, so each bouquet fits your style and decor. There is also a designers choice option if you prefer a unique bouquet weekly, as if it were a weekly surprise! With several different packages, there are choices for all budgets to enjoy fresh blooms. We will always work with you, so no worries if you go on vacation we can skip a week or two, and add it on to the end of the season. Both pre season and post season additions are available as well so you can enjoy fresh flowers all spring summer and fall. We appreciate your support and look forward to another great season! phlox, delphinium, sweet peas, zinnias, dahlias, veronica, snapdragons, balloon flowers, as well as some of the more rare and unusual flowers that we grow. The cost is $47.00 per week or $470.00 plus tax which totals $507.60 for ten weeks. 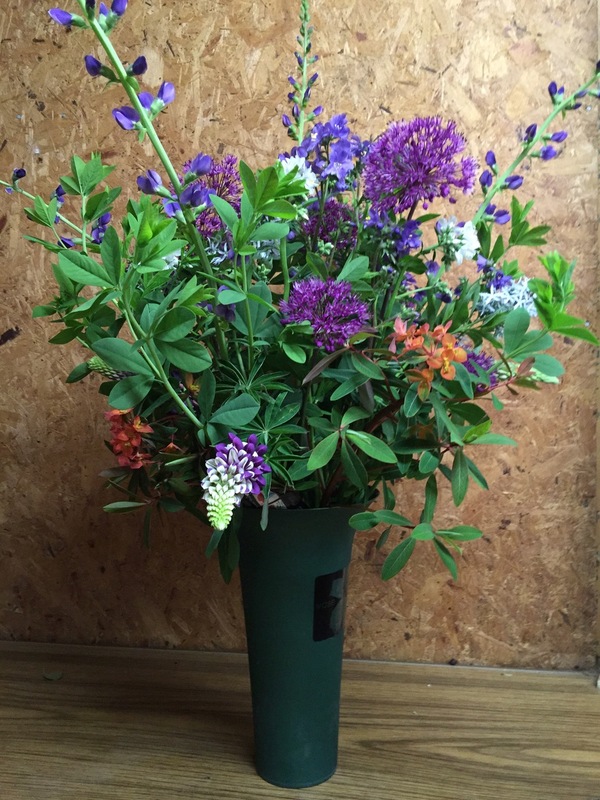 Petite add-on is a lovely bouquet of shorter stature and may include roses, sweet peas, lilies, lavender, sweet william, and more. The cost is $210.00 for ten weeks plus 16.80=$226.80. This is only available with another package. Silver - This is the same size bouquet as the gold but it can be picked up at the farm on Tuesday or Wednesday for $324.00 for ten weeks.